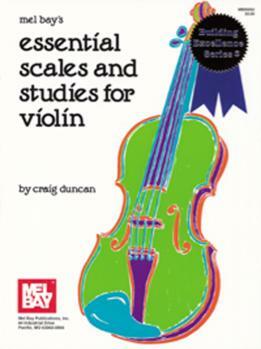 This valuable supplement has been written to present essential scales and scale studies for the beginning student. The scales are presented in various rhythms and patterns, including arpeggios. All of the various patterns presented can be used with each scale. The fingerings included present viable ways to approach the scales, but other fingerings can be explored. Various rhythms and bowings may also be applied to practicing the scales. All major scales are presented in two and three octave patterns. All minor scales are presented in three octave patterns. Chromatic scales of two and three octaves are also included. These scales can form an important part of any violin student's practice.